Part 2 of a speech delivered by John Stonestreet at our Major Speakers Dinner in Greenville. John Stonestreet, president of The Colson Center for Christian Worldview, discusses how Christians are saved for the ministry of reconciliation, and poses four questions for how the Church can live out our mission as reconcilers. 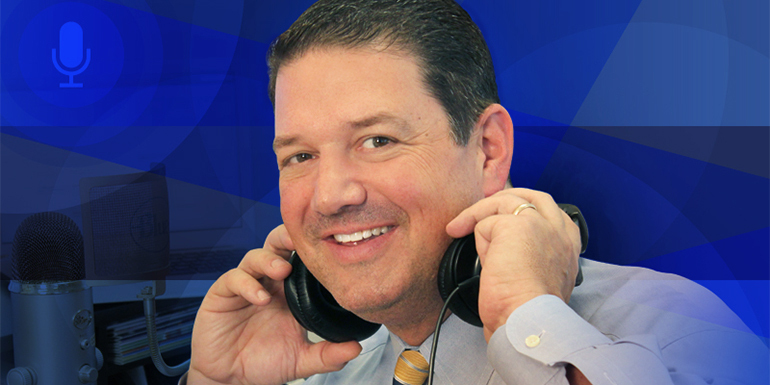 TRACI GRIGGS: This is Family Policy Matters, a weekly radio show and podcast from North Carolina Family Policy Council, designed to better inform listeners about the critical issues of the day, and encourage you to be voices of persuasion for family values in your communities. Today we bring you Part Two of a speech delivered by John Stonestreet to our NC Family Major Speakers dinner in Greenville. 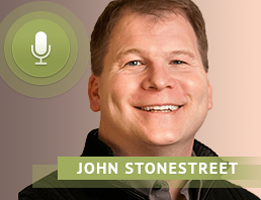 John Stonestreet is President of the Colson Center for Christian Worldview, and the voice of BreakPoint, the nationally syndicated commentary and podcast on faith and culture. He’s a sought after author and speaker on faith, culture, worldview, education, and apologetics. JOHN STONESTREET: So, if we’re not saved for escape and we’re not saved for accommodation, what are we saved for? I want to take you to a passage of Scripture, 2 Corinthians Chapter 5:17. You probably know it, “If anyone is in Christ, he is a………new creation.” That’s what salvation is; salvation is this exchange. We get to give up our old self and we get Christ in return, Amen? That’s great. But here’s the thing about 2 Corinthians 5:17: it’s immediately followed by 2 Corinthians 5:18-19. Yeah that was deep, right, did you write that down? Because 17 tells us what salvation is, 18 and 19 tells us what salvation is for. “That God was in Christ, reconciling the world to Himself and has given to us the ministry of reconciliation.” That’s verse 18, verse 19 is “That God was in Christ reconciling the world to Himself, not counting men’s sins against them, and He has committed to us the ministry of reconciliation.” He says the same thing in verse 19 in case you missed it in verse 18. So what are we saved for? Here’s what we’re saved for: those who have been reconciled to God in Christ have been saved for the ministry of reconciliation. Another way to put it is reconciled ones are saved to be reconcilers. Now see, here’s one of the things that’s happened to the church and culture. Not only have we forgotten that we’re not saved for escape and we’re not saved to just be nice and to accommodate everyone, we’re actually saved for that hard work of joining in God’s mission in the world of reconciling sinners to Himself. That’s what we’re actually for. The other problem is that we’ve professionalized it. In other words, what we did when it came to culture, we thought, “Well that’s James Dobson’s job, that’s Chuck Colson’s job. We’re going to commission them to go engage the culture for us.” But there’s a big mistake there because it’s assuming that culture only exists in DC and Hollywood. But culture is not just in DC and Hollywood, culture is right outside of our own back door. And one of the things that Chuck Colson believed when he said, “Where was the church?” is that the greatest need in the world is for the church to be the church wherever the church is. And we can’t just count on those going to DC and Hollywood to do the work of cultural engagement for us. This is why I show up when Family Policy Councils, state by state ask, especially one that’s doing such a great job like the North Carolina Family Policy Council. It’s because culture is not just out there, culture’s right here. I thank God for North Carolina. I thank God for the courage during that whole HB2 thing. Do you know how many leaders we saw cave to basically redefining reality? And we didn’t see it here, Praise God! I am grateful that there is a group of Christian leaders that understand that culture is not just in DC and Hollywood, it’s in our own backyard, and we are called wherever God has placed us to engage culture. If you are in Christ, you are called to engage God’s world with the ministry of reconciliation. And what does that look like? Four questions that we can use to engage culture wherever God has placed us. Here’s the first question—I’ll do this fast. Number 1: “What’s good that we can celebrate, protect and promote?” See, Christians believed that when God created the world, he looked at all that he had made and he said, “Behold, it is……..good.” We believe there’s a lot of good stuff in the world, and Christians have always excelled when they hold up those good things. One of those good things that the church has always held up—with very rare exception—is the good that is the dignity of every human life. The earliest church document we have other than the Bible itself, it’s called the Didache. It’s called the “Teaching of the Apostles to the heathens.” Basically teaching the early Christians how to live in a pagan culture. Many people date it to literally the first century, and in the middle of that document it says, “Thou shalt not procure abortion. Thou shalt not commit infanticide.” And that dates back to the one hundreds! And the reason it said that is because abortion was common in the Roman Empire. But notice it didn’t just single out abortion; it singled out infanticide because that was common in the Roman Empire too. It was a process called exposure. If Roman families had too many children, they would throw them in the backyard and let the elements take care of them. A lot of times the victims were little girls. Because you wanted to have as many boys as you could have because that’s your retirement plan; they were going to work and support you. But with girls, you just wanted somebody that can be a dowry, and then basically you didn’t want to have more girls. So a lot of times a second or third or fourth girl would be thrown into the backyard to be killed by exposure. Well the earliest Christians thought that was absolutely unacceptable because every single person is made in the image and likeness of God. So you know what they did? They went out and collected these little girls and they brought them into their homes. This was the work of the church at the very beginning of the church, isn’t that beautiful? But there’s a “rest of the story.” In fact, Rodney Stark—who’s a sociologist at Baylor—he wanted to know what explained the explosive growth of the church in the 2nd century. And there are all kinds of theories about this, but one of the things that Rodney Stark says explains the explosive growth of the church was the practice of going and collecting these little girls out of the woods. Why? Because if you kill a whole bunch of baby girls for 30 years, what do you have 30 years later? You have a problem. When boys grow up, they tend to want to find girls to be their wives. And what you have in Roman society 30 years later is a bunch of Roman men that couldn’t find wives. But who had the girls? The Christians. So Rodney Stark says that one of the things that explains the explosive growth in the church in the 2nd century is that when all these numbers kind of came to bear, when Roman men wanted to find wives, they had to go to church. You say, “John, what are you saying?” I’m saying the early church practiced missionary dating! Or if you’re homeschooled, missionary courting, whatever. The amazing thing here is that these Roman men would actually marry [Christian girls]! And here’s what I love about this: if you would have stopped any of those women or couples that were going to collect these little children out of the woods and said, “Do you realize that what you’re doing right now is literally going to change the world?” They would say, “I don’t know about that, I’m just trying to help this kid.” That’s what’s beautiful about the pro-life movement right now, isn’t it? For all of us that get involved in that movement, whether it’s at a pregnancy care center or whether it’s getting behind the efforts—the prolife efforts legislatively of John and his team at the State Capitol, and the North Carolina Family Policy Council’s efforts to defend unborn life. We’re just trying to help that life, and that life, and that life. But when Christians promote what’s good, it can change the world. Here’s question Number 2: “What’s missing that we can contribute?” We believe that every human is made in the image and likeness of God. God looked at nothing and made the world. And we’re made in his image, that means we’re creative, right? You know what’s missing in a lot of communities? Dads. Give us some people who will fight for Dads, right? You know what’s missing in a lot of communities right now? A courageous Christian voice. It’s missing because a lot of churches have chosen safety and a lot of churches have chosen accommodation. A lot of churches have believed when we’re told that Christianity doesn’t belong in the public square. Listen, if Christianity doesn’t find a place in the public square, then we will have a group of citizens who think the government owns their highest loyalties. Read history, that is a dangerous place to be. So what’s good that we can protect, promote, and preserve? What’s missing that we can contribute? Here’s Number 3: “What’s evil that we can stop?” Sometimes the most important thing Christians do is stand before history and yell, “Stop.” I know what some of you are thinking. Some of you have been to a lot of these events where we talk about how Christians need to take a stand in the culture, and you look there and you’re like, “Man, but it seems like the culture is getting worse and worse. It seems like things are just going downhill. There’s no hope.” Here’s the point though, we don’t fight evil because we will win. We fight evil because it’s evil and Christ has defeated evil by rising from the dead. We will say this to each other on a couple Sunday mornings, right? When it’s Easter Sunday, this is what Christians throughout history have always said to each other: “Christ is risen, He is risen indeed.” Now, what most Christians mean when they say that is, “I believe he’s risen.” That’s not what the church historically has meant. It doesn’t mean you believe He’s risen; it’s a barbaric yelp of certainty. “Christ is risen from the dead!” He’s not risen if you believe it, he’s risen whether you believe it or not. It’s the defining event in all of human history. So we fight evil, not because we’re going to win. We fight evil because Jesus Christ has defeated death, and that’s why we have hope. So what’s good that we can protect, promote, and preserve? What’s missing that we can contribute? What’s evil that we can stop? And here’s Number 4. “What’s broken that we can restore?” See, that’s the story of the world, as many theologians say. Creation, Fall, Redemption, Restoration. God created the world; the world has fallen because of human sin; He comes in Christ to redeem the world; And the ultimate end of the story is that all things will be made, what? New again. That’s the story that we are a part of. So I think God loves it when lives are restored, when relationships are reconciled. Whenever I think about this—what it means to live out the Gospel in this moment, what that looks like—I think of a story. I heard this story and I said, “We are going to tell that on BreakPoint.” It was the story of a Catholic priest on the East Coast and he heard about a couple in his church who had gone near the end of their second trimester for an amniocentesis. That’s the test that tests for Down syndrome in the womb. And the test came back positive. So this young couple made the decision that 90 percent of couples make in their situation in the Western world, and that is to abort. Somehow this priest heard about this and he called up the couple and he said, “Please, please don’t abort. Bring this child to life.” They said, “We’re just not ready to raise a child with Down syndrome. We’re just not able to do that.” And he said, “What if we can find an adoptive couple, would you give it life?” And they said, “Yes.” But in that state abortion was illegal in the third trimester; the test is performed near the end of the second trimester, at least in their case. They were scheduled for an abortion the following Wednesday and then they were going to move into the third trimester. So essentially the priest had the weekend to solve this problem. Of course, he was facing his duties at his church and leading his congregation. But he went on a social media campaign, sent out basically a digital APB: Anyone willing to adopt this child by the end of the weekend? Get this, 800 couples stepped up to adopt this child. Isn’t that beautiful? I said, “I’m going to tell that story on BreakPoint,” and I started to dig. The more I dug into the story, I realized there was a whole nother thing. Because one of the things I was trying to get at was why this priest dropped everything to save this child. There’s a whole lot of people, including pastors and priests, who say that they’re pro-life, but being pro-life and living out your pro-life convictions are two different things, aren’t they? So what made him actually engage? I found out that about two and a half years before this priest went on a campaign to save this little unborn child, that this priest’s brother was in the backyard of his parents’ house just playing. He was in his twenties but he still lived at home because his brother had Down syndrome. And as he was playing in the backyard of the house, he didn’t know he was standing over the septic tank. Or that the septic tank had a metal roof or that the house was so old that the metal roof had rusted. But as this young man was standing over the septic tank, the roof caved in and he fell into the septic tank, into sewage over his head, and he began to drown. His dad saw what had happened and jumped into the septic tank after his son and lifted his son up out of the sewage. And in the process, his dad sunk below the sewage and drowned. And suddenly it made sense. As we say in the South, why did this priest drop everything to save this child with Down syndrome? And the answer is, he got it honest from his dad. And that’s what restoration does when we jump out and become agents of reconciliation. You don’t know how the math is going to work out. Or as T.S. Elliott said, “For us, there’s only the trying. The rest is not our business.” The rest belongs to who? God. This is part two of a two-part message from John Stonestreet, delivered at NC Family’s Major Speakers Dinner in Greenville, NC.